The Koehler-Escoffier Mandoline of 1914 has a 500cc V-twin engine driving a two-speed Enfield gearbox. The successful marriage bore fruit, winning the Argenteuil hillclimb and a gold medal in the Paris-Nice rally. Just before the First World War, Marcel Koehler and Jules Escoffier had only one goal: to build a racing machine and the result was the first Mandoline of 1913. The machine achieved a good reputaion and acquired the nickname Mandoline for the shape of the crankcase cover which housed the magneto, but after the loss of both fouunders it languished for some years. 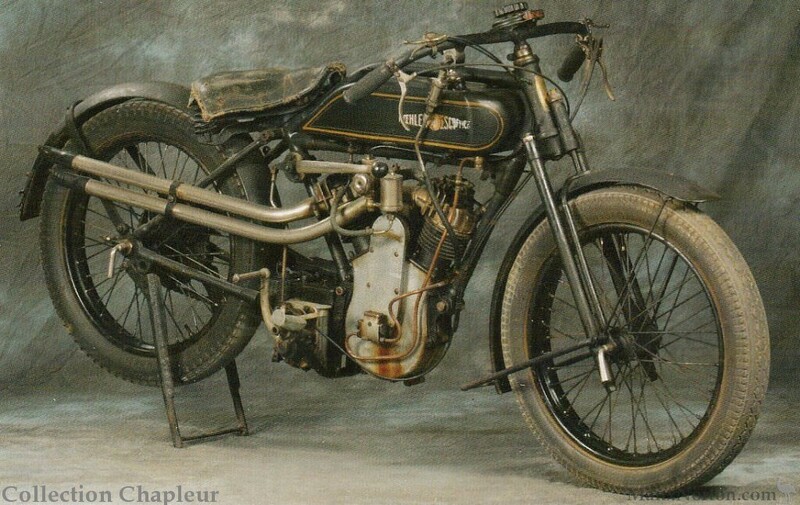 The model was resurrected after the war, and a review of 1922 described the Mandoline as a true competition machine with an engine of 500cc, 16 HP, 120 kg, and capable of 120 km/h.